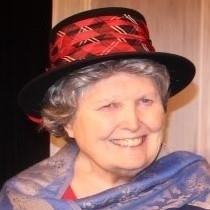 The St. Petersburg City Theatre says goodbye to our good friend and Lifetime Theatre Member Sister Elaine Taylor, O.P. as she moves into The Mother House of the Sininawa Dominican Sisters in Southwest Wisconsin. Her talents and dedication will be greatly missed. Starting in 1997, Sister Elaine (as we all know her) managed the St. Petersburg Petite Little Theatre program which offered children 8-13 training and participation in the theatre arts. The program allowed children in the neighborhood schools with no drama classes the opportunity to act. She handled youth play selection, rehearsals, costumes, props and sets. And she worked with the Board to schedule volunteers who helped with box office, ushers and behind-the-scenes work. Sister Elaine was employed thirty-six years in elementary education 1-6 and K-12. She instructed classes in music, drama, visual arts, art history & appreciation. She has directed and designed over 70 elementary and high school productions. She was graduated from Edgewood College in Madison, WI with a B.A. Education and received her M.F.A. from Illinois State University, with a M.A. degree in Interdisciplinary Arts from Columbia College in Chicago, IL. Sister Elaine has served on the St. Petersburg City Theatre (Formerly Little Theatre) Board of Directors and appeared or directed many main stage productions. She says that her favorite part of was that of the Grandmother in Neil Simon’s Lost in Yonkers. Her last appearance on the City Theatre stage was in the 2017 production of A Christmas Carol (As seen above). We wish Sister Elaine the best in her new adventure and hope she will visit us as often as she can.